MY SININA: color, color, and more color! Here I go again with my bold colors and florals, I just can’t stay away from it for too long! I cannot even begin to describe my love affair with this skirt, I love it so much I feel like I’m cheating on my husband with a skirt, lol! I love how flowy, billowy, bright and cheerful it is, not to mention comfortable. Let’s just say I can get away with things that I wouldn’t be able to if I were sporting a much shorter skirt. And this top… what more can I say? I think these two were a match made in heaven. 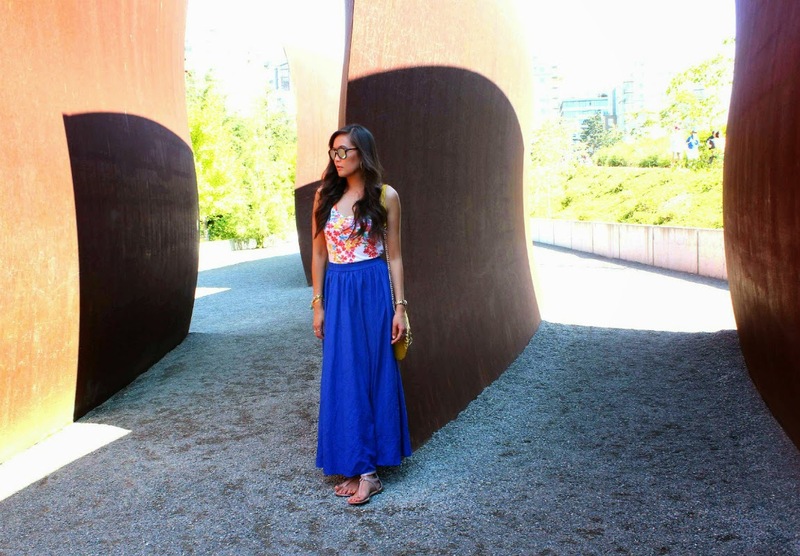 Floral top would never cheat on blue maxi skirt with me, sadly. Hahahaha, okay I better stop. My post writing endeavor is going nowhere, seriously…but I hope y’all are having a great week!! Before I let y'all go, I wanted to share that chicastic.com is offering a 10% discount on any orders placed on their website. 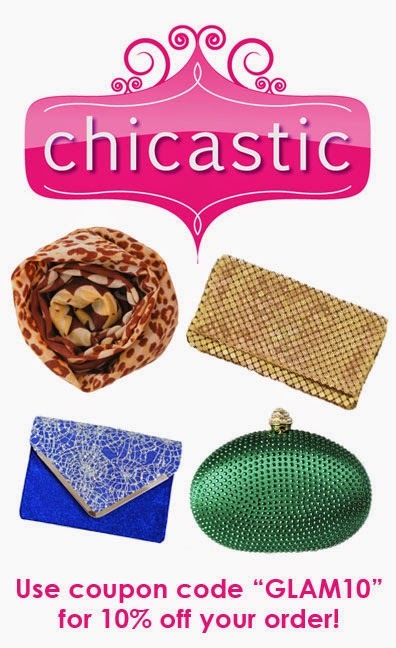 I cannot get over their chic clutch bags that are perfect for an evening out! If you were in the hunt for one or just plain curious of the other pretty things they have, head on over to their website. Check out the coupon code below for the discount! Haven't seen your posts in a while, I've missed you. I love this outfit, so vibrant and bold. 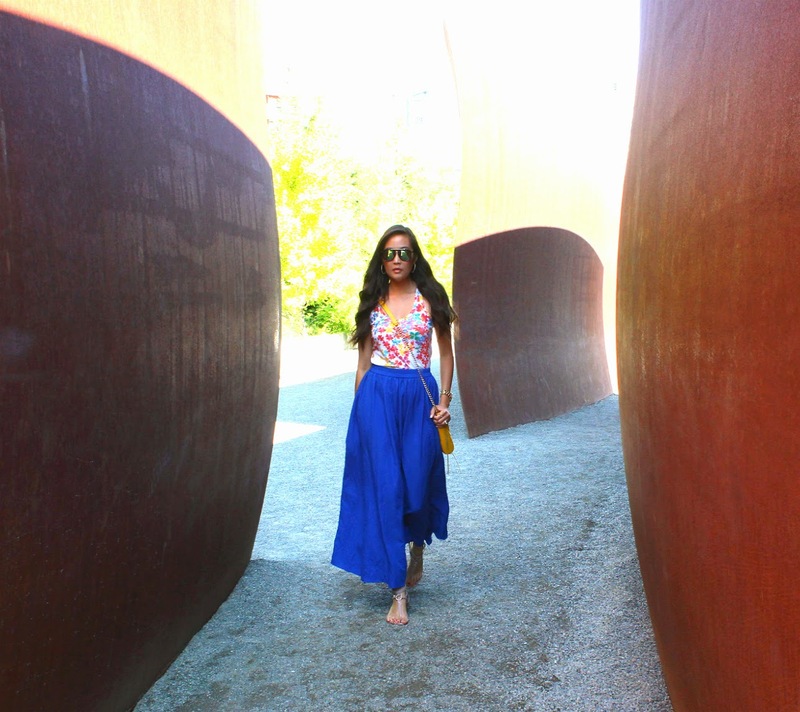 Beautiful cobalt maxi skirt! I love it paired with this pretty floral top. So stylish! First, you leave the sweetest comments! Second, I loooove the beautiful vibrant colors in this outfit. They all complement each other so well and you have such a natural skill for these pairings. Third, your makeup is so beautiful! I love it, and I think you'll have to do a tutorial eventually. Better start practicing your YouTube skills! I really love this colorful look! 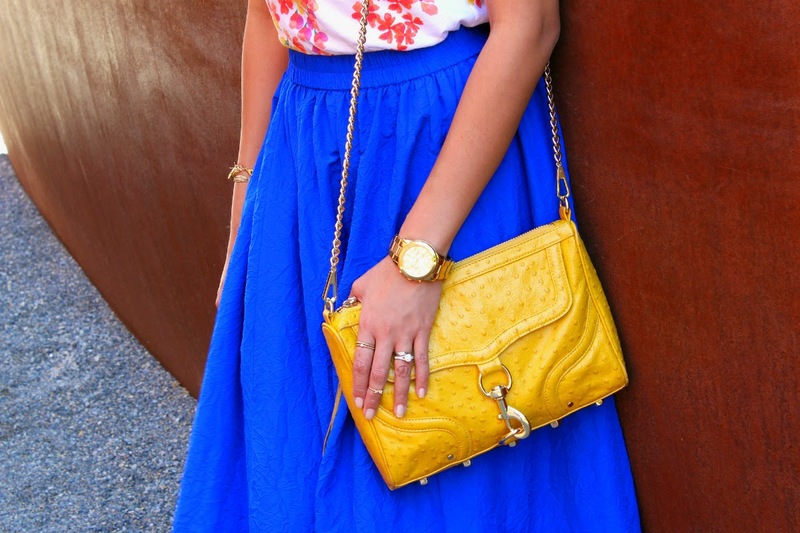 I love this colorful outfit, that skirt is gorgeous! This outfit is so perfect for the summer. Thank you for stopping by my blog and commenting. Have a wonderful day! That skirt is so pretty I can see why you are in love with it! It goes perfectly with your top. You look beautiful! Such a gorgeous outfit! Loving the vibrant colors! Lovely set of colors and awesome skirt! stunning!!! I love how you layered everything and even though everything looks like a statement piece your fine attention to detail made it look great! Thanks for your lovely comment in my blog! I am now following you to keep in touch with your recent updates! That skirt is amazing, love the color! Gorgeous skirt! That color is amazing! Wow, you look fantastic. 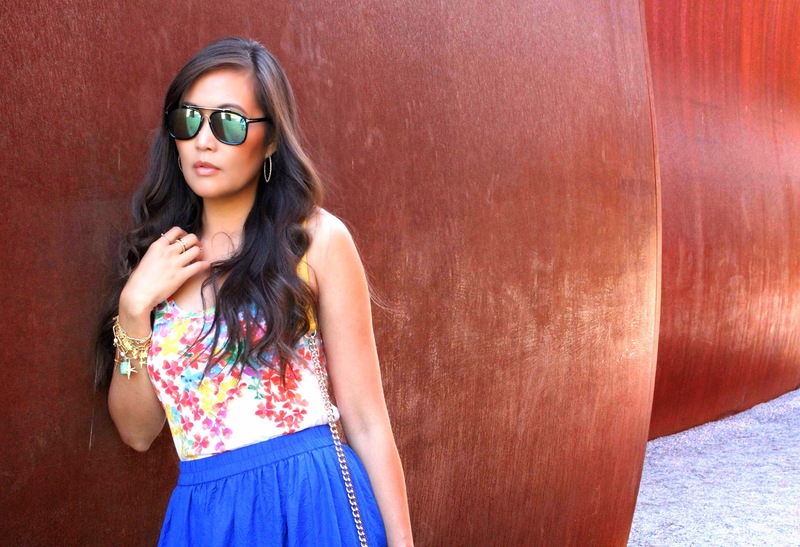 The skirt is stunning and your floral top is beautiful, so feminine and chic. The colors in this look are just beautiful! Great look! You are stunning! Love the colors in this look!! Beautiful outfit! 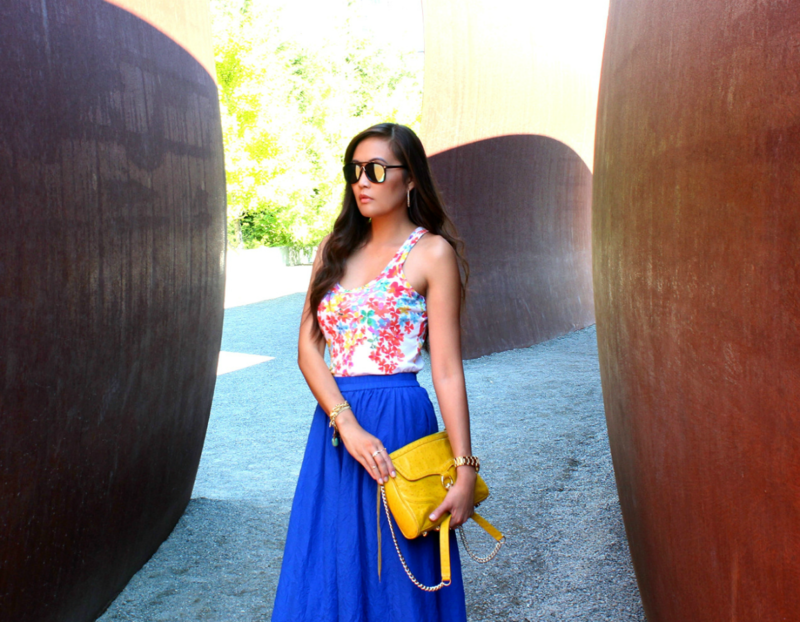 I love the full maxi skirt, and that floral top looks great with it. Perfect for summer! Love all the gorgeous colours in this outfit-you look amazing & styled it perfectly!! 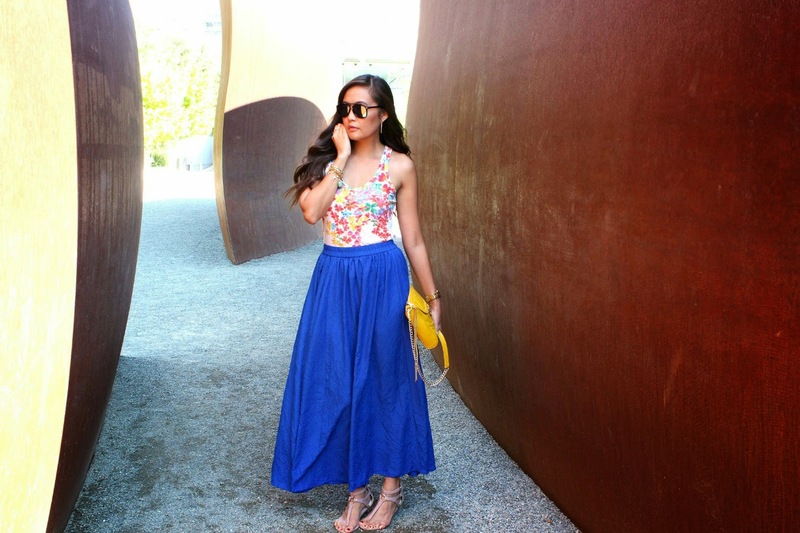 That maxi skirt is so pretty. It goes lovely with the floral top! I'm kind of obsessed with this outfit. You look great and I absolutely love the colors! 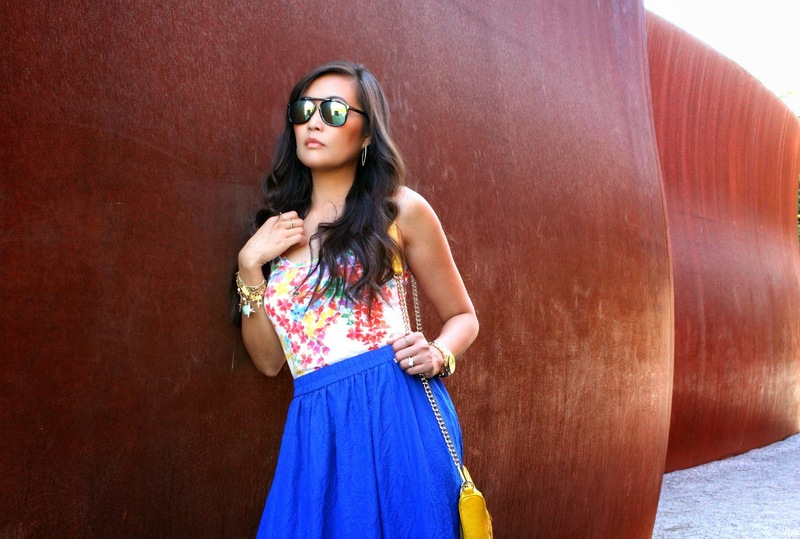 Also, there is nothing wrong with bold colors and florals - if you have them...wear them! I love the color and texture of your bag. Really adds a nice touch to the whole outfit.